Ozzy Tyres has over 20 years of experience in the wheel and tyre industry and we strive to offer superb value for money, convenience and outstanding customer service. To ensure complete customer satisfaction, Customers are able to order online, 24 hours a day, 7 days a week! One of our main objectives here at Ozzy Tyres is to have the highest quality of wheels and tyres at unbeatable prices. We pride ourselves on the fact that we can offer our customers the chance to choose from a large selection of wheel sizes! This ensures that you get a perfect fit every time - 100% fitment guarantee is what we aim for! • Free Delivery Australia wide! • Free nuts, hub rings, and hub locators. • 100+ great recommendations from True Local. • 19,000+ Facebook fans and growing! • Loyalty discounts on top of already reduced rates. • Top brand tyres that are from new batches at 50-60% cheaper than the recommended retail price. 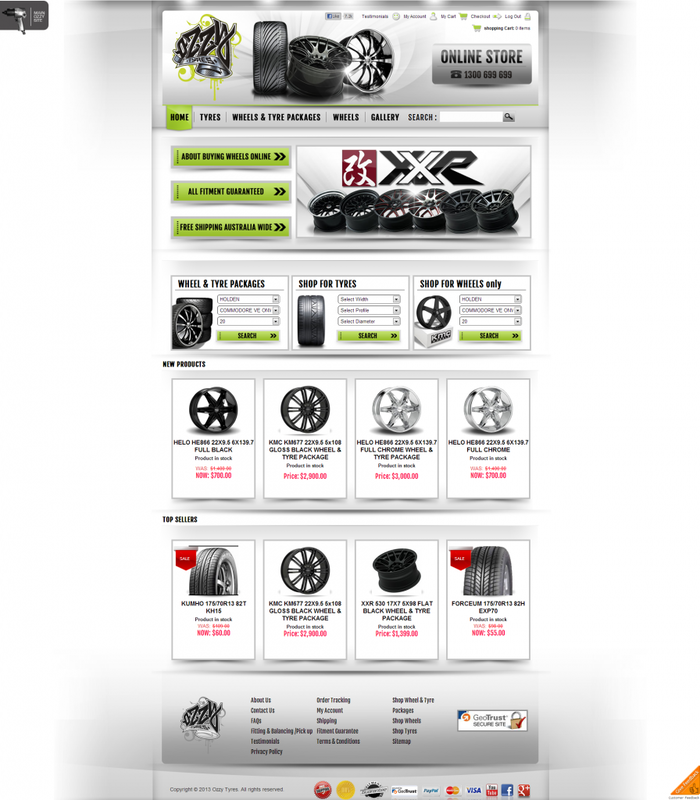 • Over 300 of the most well-known brands of wheels and tyres sourced from around the world. • All enquiries are answered instantly or within 24 hours! We know that consumers in any city in Australia prefer high quality 16X8 Wheels at the cheapest prices without having to compromise on safety and performance and here at Ozzy Tyres, we offer all this AND free shipping with overnight delivery (to most metropolitan areas in Australia). At Ozzy Tyres, we have an extensive range of wheels and rims to suit just about any vehicle and we also have great customisation options for you. Visit our website or contact us on the button below!